August 25, 2018 [St. Petersburg, FL] - The Florida Holocaust Museum (The FHM) has partnered with Eckerd College to release a 25th Anniversary oral history series titled "25 Survivors, 25 Stories... Celebrating 25 Years!" 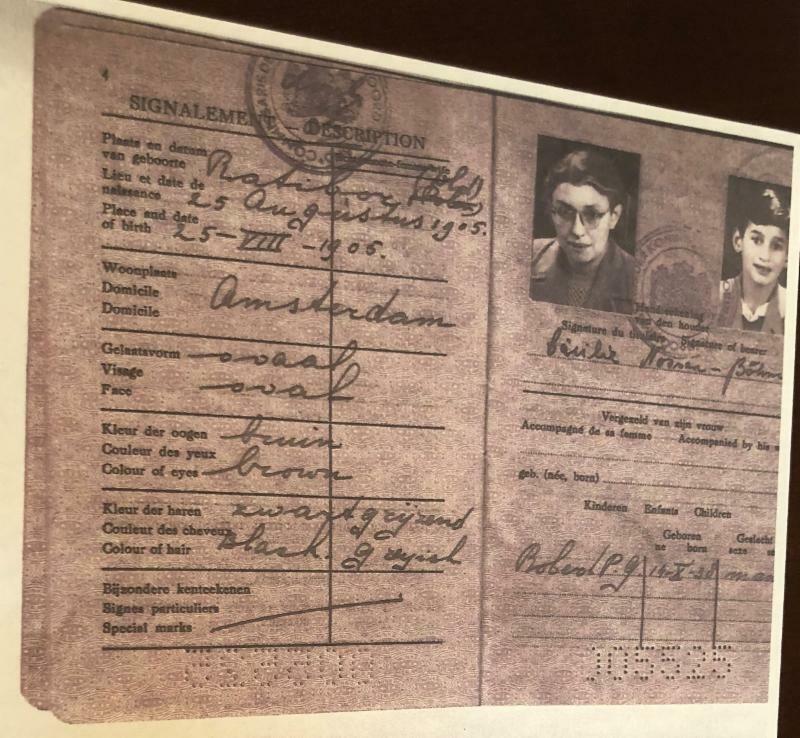 Rob's family was sent back to Westerbork, just one year after being allowed to leave, and from there were deported to Theresienstadt, a "model ghetto" and concentration camp in German-occupied Czechoslovakia. In Theresienstadt, Rob lived with his mother, because he was only six years old, while his brother and father lived in a different section of the barracks. Eventually, Rob's family got a room in an officer's quarters, where five different families each had their own rooms but shared kitchen and bathroom facilities. "We were lucky," Rob recalled, to be able to live together as a family. Living in Theresienstadt's ghetto, rather than its concentration camp, they were able to wear civilian clothes and work regular jobs. Rob's mother was an administrator at the hospital, and his father worked in a laboratory. 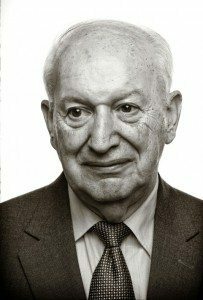 "The ghettos were set up so that the Jewish community ran the ghetto," Rob said, although the Nazis controlled the rations and other aspects of life in Theresienstadt. "But within the ghetto we had schools, we had a hospital, things like that." In the summer of 1944, Germany used Theresienstadt to show representatives of the International and Danish Red Cross how Jews were being treated. Rob recalled how the Germans laid out walkways, set up dining halls, and even a field for children to play soccer, in order to create the impression that Jews were living comfortably. The Germans limited who the Red Cross representatives were allowed to talk to, in an attempt to preserve the illusion. "By 1944 the world knew about the gas chambers, they knew about the death camps," Rob explained. "It was a farce, the whole thing was a farce." As soon as the Red Cross left, the deportations increased. To read Rob's story in its entirety, please visit: https://www.flholocaustmuseum.org/survivor-stories/story-17-rob-nossen. A special thank you to the Holocaust Museum and Education Center of Southwest Florida for connecting The Florida Holocaust Museum and Eckerd College with Rob Nossen. 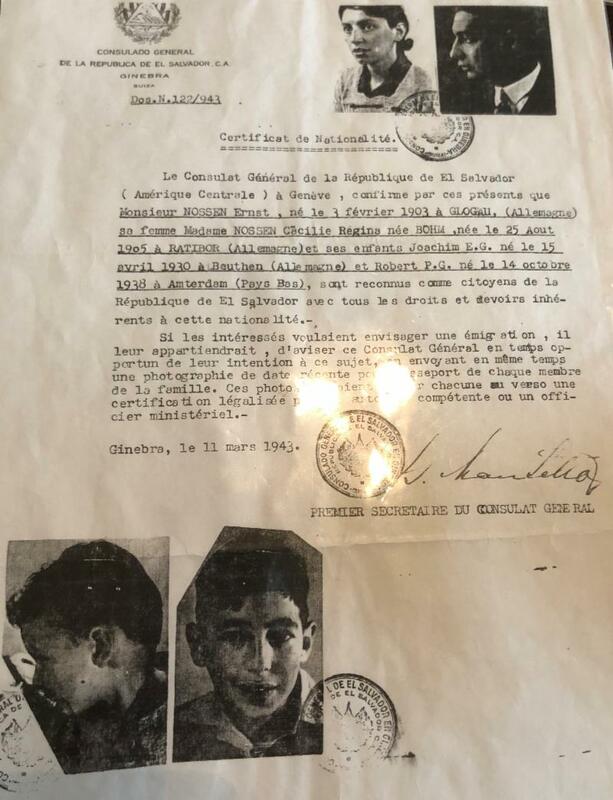 Rob Nossen's family papers from the El Salvadoran consulate in Geneva granting his family El Salvadoran citizenship. 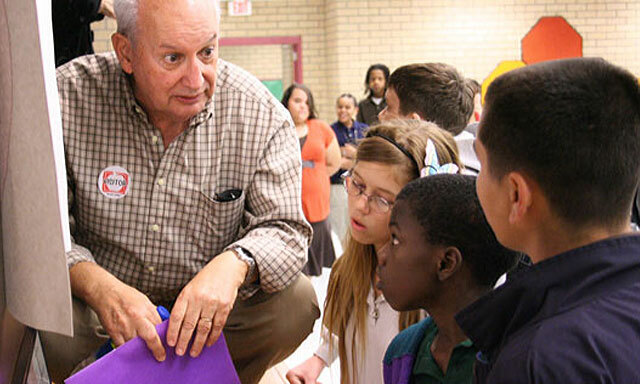 Rob Nossen speaking with students at the Holocaust Museum and Education Center of Southwest Florida.